With its stunning bays and lush mountains that tower over the contrasting blue sea, Tortola is one of the most beautiful islands in the Virgin Islands archipelago. We will soak up all its charm as we travel along the inland streets until we reach the picturesque beach at Cane Garden Bay where we can enjoy an invigorating swim. We will climb aboard a quaint open-topped safari bus that will allow us to easily admire our surroundings. 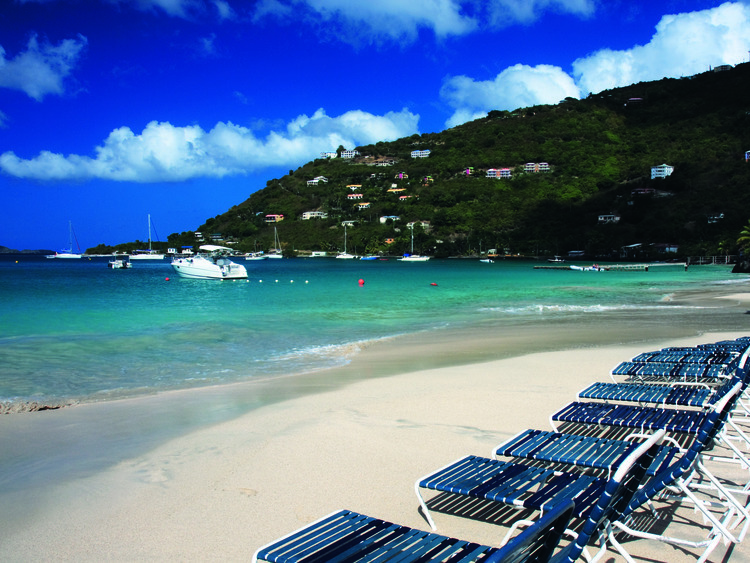 We will embark on an exciting sightseeing tour of Tortola, the biggest of the British Virgin Islands, lapped by glistening white beaches overlooked by lush mountains. Our journey continues to the magnificent Cane Garden Bay beach on the Atlantic coast, where we can relax in a genuine tropical paradise. When we arrive, a comfortable sun lounger will be waiting for us so that we can lie back, soak up the sun and enjoy the delicious rum punch or fruit punch that we will be offered. In the time we have available, we can enjoy the blue sea of the Virgin Islands, stroll along the beach or plunge into the crystal-clear waters for an unforgettable swim before returning to the ship. This excursion will be led by the driver in English. Ship personnel will provide assistance where possible. Parasols are not included but may be hired on the beach. Children up to the age of 14 will share a sun lounger with their parents.